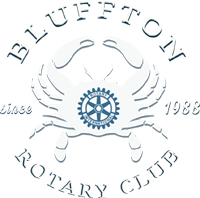 The increasing popularity of backyard oyster roasts and by-the-bushel retail sales of oysters has contributed to a shortage of shells returned to our estuaries to provide a suitable surface to attract juvenile oysters. More often than not, the shells end up in driveways and landfills. During the summer months, oysters spawn and release free-swimming larvae, called spat, into the water column. The spat are carried by tide and current and after spending about two weeks moving in the water column, seek a suitable surface upon which to attach and begin building their shells of calcium carbonate. Unless disturbed, they will spend the remainder of their life cycle where they have attached. Centuries of oyster cultivation experience have proven oyster shell to be one of most desirable materials (called cultch) for attachment and subsequent growth of young oysters. Adult oysters filter and purify up to 2.5 gallons of water per hour or up to 50 gallons per day. Oysters build reefs which provide habitat for fish, shrimp, crabs, and other animals. They are an integral part of the marine ecosystem. There are nearly 120 different species that frequent oyster reefs, including; Red Drum, Blue Crabs, Flounder, and Shrimp. 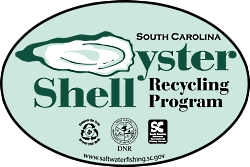 Here in Bluffton we have an oyster shell recycling bin located at Trask Boat Landing (325 Sawmill Creek Road). The shells at this location are ready to be bagged and made available to build the newest oyster reef in our local waterways. Please come help get them on their way to producing the next generation of delicious Lowcountry oysters.